Most serums on the market are focused on chronological aging (you know, trying to turn back the clock... and the crows feet). 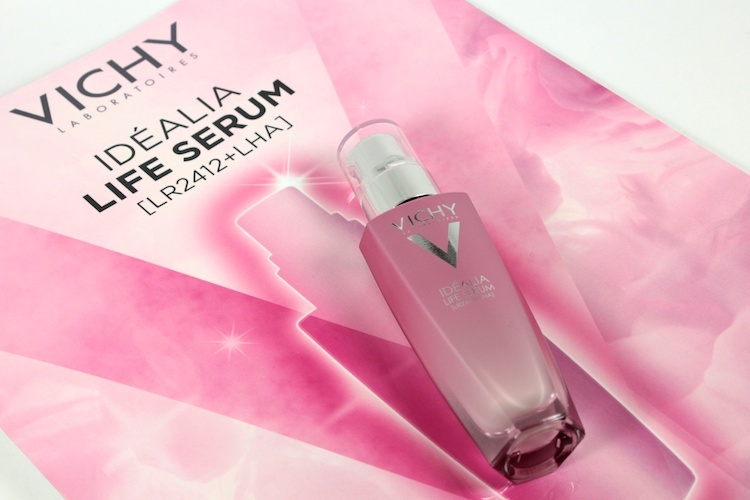 Vichy's new launch does something a little different. The Idéalia Life Serum* was created to offset something called "behavioural aging." Behavioural aging is different for everyone because it's directly related to how we live our lives. Whether it's lack of sleep, pollution, stress, unbalanced diet, lack of exercise, hormonal imbalances, sun exposure, or dry weather, there's always something that prevents us from having our ideal skin. 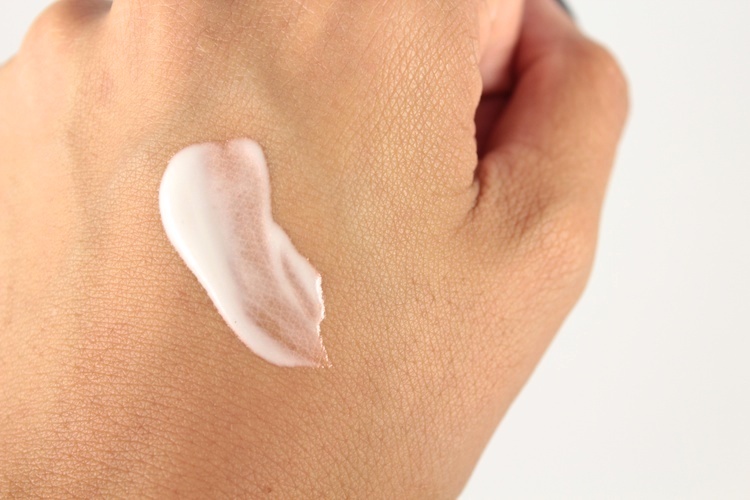 It is supposed to benefit your skin in many ways, such as evening & illuminating your skin, refining your pores, and giving you an overall rested appearance. The main ingredients used are LR2412 (helps even the skin tone) and LHA (a derivative of salicylic acid). After two weeks of continuous use, I have noticed a subtle difference in the appearance of my skin, albeit temporary. It's lightweight and absorbs quickly into the skin. I instantly notice a boost in the radiance of my skin after using this, but I haven't noticed any long-term changes (yet). On to the superficial things. I like the packaging. 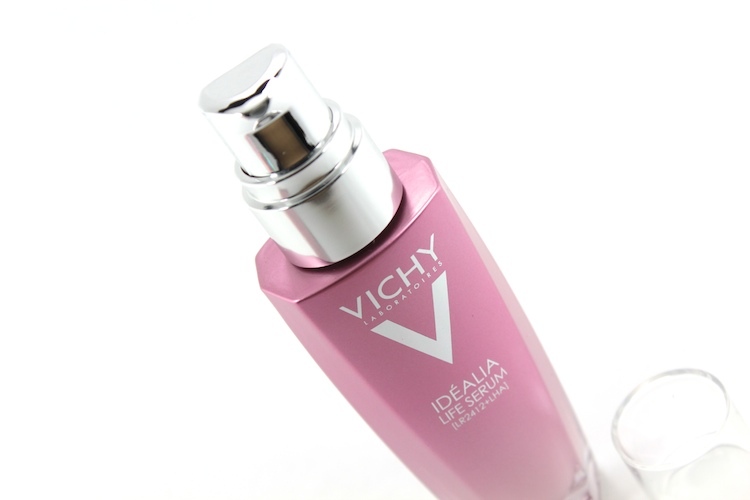 It's a weighty pink bottle with an easy-to-use pump. The serum also has a bit of opalescence to it. Reminds me of the L'Oreal Texture Perfector Serum, actually. It even uses similar ingredients (i.e., LR2412). 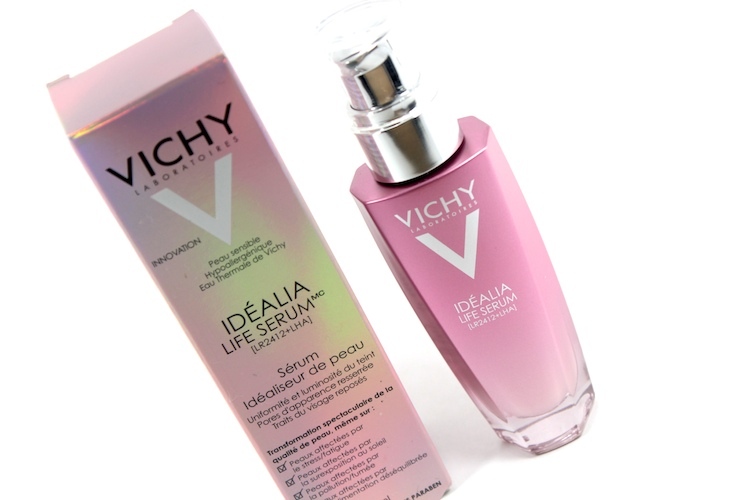 I do prefer the texture of the Vichy Idélia, though... it's a bit less fluid. For those who don't like scented products, I'm afraid to report there's a faint fragrance in this serum. Overall, it's a nice serum. Lately, I've been suffering from dull-skin syndrome. I attribute it to the hot / cold weather as we transition into fall. So, I have appreciated the subtle radiance this adds to my skin. I didn't think you were capable of having dull-skin syndrome. Your skin is the envy of every girl - including/especially me! Totally agree with @OPI Addict - bottle is adorable!